John Locke, who was a native of Co Kilkenny Ireland was the author of the poem ‘Dawn on the Irish Coast’. US President Ronald Reagan quoted the first verse of the poem during his visit to Ireland in 1984. Locke was inspired to write the poem by the account given to him by a friend who paid a visit to Ireland having spent thirty years in exile. Locke wrote the poem in 1877. John Locke was born in Callan, Co Kilkenny in 1847. He was educated locally at Callan National School and is reported to have been a talented player of the game of hurling. At the age of sixteen his first poem was published in the Irish People. Several other poems were to follow including ‘The Calm Avonree’. In 1867 Locke was arrested for his involvement with the Fenian movement. He was found guilty and sentenced to six months in Kilkenny jail. Following his release he moved to Manchester, England and later to New York. In New York he became a journalist with the Celtic Monthly. He continued to publish poetry and novels including ‘The Shamrock and Palmetto’ and ‘A Tale of the Tithes’. John Locke, author of the poem ‘Dawn on the Irish Coast’, died at the age of 42 in the year 1889 On This Day. The town of Castlecomer is located about 16km to the north of Kilkenny City, Ireland. High quality anthracite coal with a low sulphur content has been mined in the Castlecomer region since the mid 1600’s. The coal mining took place initially in conjunction with the mining and smelting of iron-ore. The Wandesforde family came to Castlecomer in the mid-17th century. They were responsible for opening up a number the coal seams in the Leinster Coalfield. Though the seams were centred in Castlecomer they stretched into surrounding areas in Carlow and Laois. The mining technology being used was archaic until the introduction of English colliers from the Durham coalfields in the late 1820s. Deeper mines were sunk and mechanical coal mining machines were introduced. The coal was sold locally, was distributed all over Ireland and was exported to England. Richard Henry Prior-Wandesforde, who was born in 1870, inherited Castlecomer Demesne and other family lands from his grandmother. He invested heavily in the development of the coal mines. 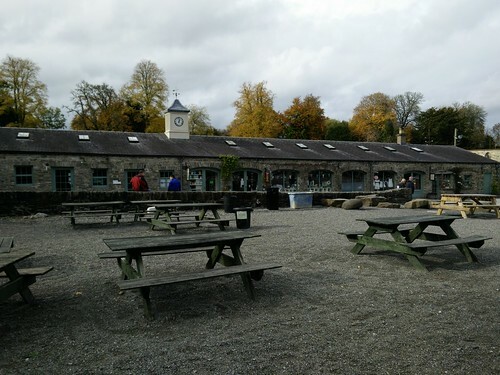 Wandesforde also played a central role in the development of industry in Castlecomer. He founded The Castlecomer Agricultural Bank, the Castlecomer Basket Factory. A railway line from Castlecomer to Kilkenny was constructed with money from Wandesforde and with Government grants. The railway line which had a depot at Deerpark in the coalfield was of great significance in the development of the mines. The Deerpark depot was fed by aerial ropeways from the other collieries. Employment grew rapidly and it is estimated that over 2,000 people were employed in the mines and associated industry when the mines were at peak production. During the 1950’s three trains carrying 90 metric tonnes of coal left Castlecomer for Kilkenny each day. However coal production began to decline as seams ran out or became uneconomic to mine. Numbers employed began to drop and for a time the mines continued to operate with the aid of Government subsidies. 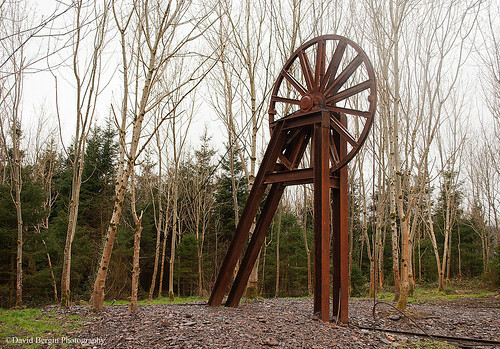 Castlecomer Coalmines were finally forced to close in the year 1969 On This Day. 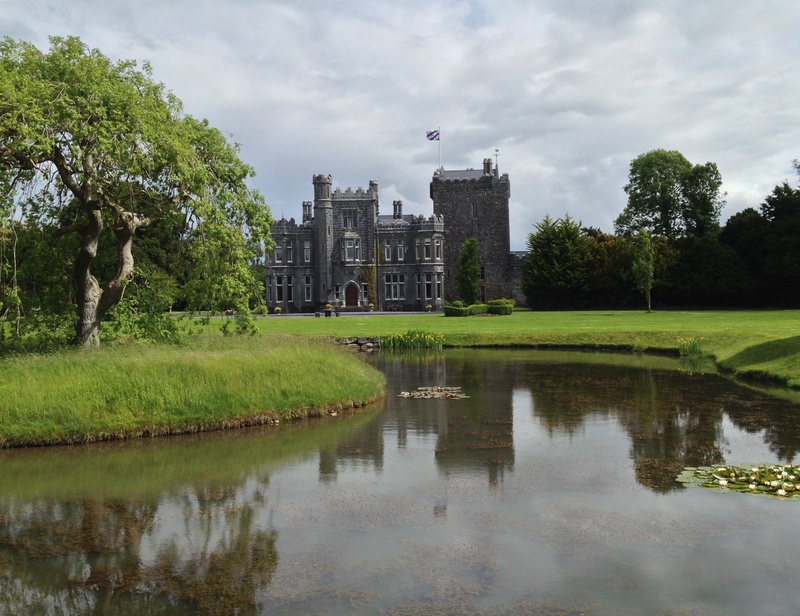 Edward Martyn was born at Tulira Castle near Gort in Co Galway in January 1859. He was educated at Belvedere College Dublin, Beaumont College London and Christ Church, Oxford. Martyn played a leading role in Ireland’s cultural renaissance. With Yeats, Lady Gregory, George Moore and others, he formed the Irish Literary Theatre which eventually became the Abbey Theatre. He also helped establish the Palestrina Choir and the Feis Ceoil. He died at the age of 64 on December 5th 1923. Edward Martyn was born in the year 1859 On This Day. 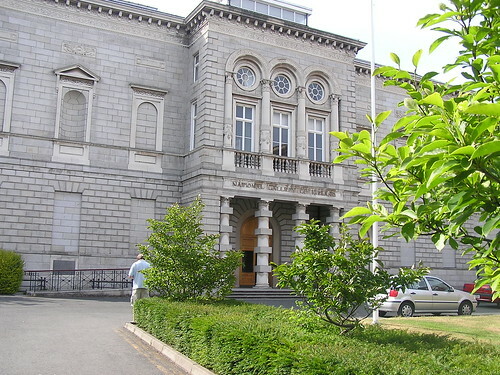 The National Gallery of Ireland is located in Dublin city centre. There is a bronze statue of Carlow engineer William Dargan in the forecourt of the Gallery. 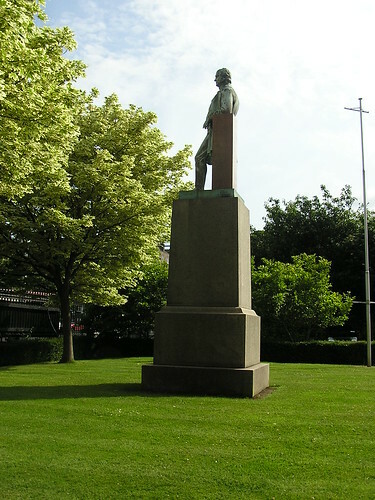 The statue was erected in recognition of the role Dargan played in the establishment of the Gallery. It was temporarily moved from its plinth on April 30th 2014 to allow for refurbishment of the building. The statue, which has been in its location for 150 years was returned to its plinth when works were completed in 2016. William Dargan was born near Carlow town, Ireland on February 28th 1779. The Irish rail network and the National Gallery of Ireland are just two of the areas where Dargan made a major impact on Ireland. Often referred to as the father of the Irish rail network Dargan was offered a baronetcy by Queen Victoria when she visited him at his home in Mount Annville in Dublin in 1853. He declined the offer. A great exhibition had taken place at Crystal Palace in London in 1851. Dargan offered to fund a similar exhibition in Dublin. What became known as The Great Industrial Exhibition opened on Leinster Lawn in Dublin on May 12th 1853. The Dublin exhibition was the first World Fair to have an exhibition of art. It was given an enthusiastic response by the visitors. The number of visitors exceeded one million, many of whom came on the railways built by Dargan. Among the visitors on August the 29th was Queen Victoria, the Prince Consort and the Prince of Wales. Following the exhibition two committees were founded to promote the establishment of the National Gallery of Ireland, as a mark of gratitude to Dargan. The campaign was successful and the Gallery was built on Leinster Lawn, ten years after the Great Industrial Exhibition. The Gallery has been extended on several occasions to accommodate its large collection of Irish and European art. 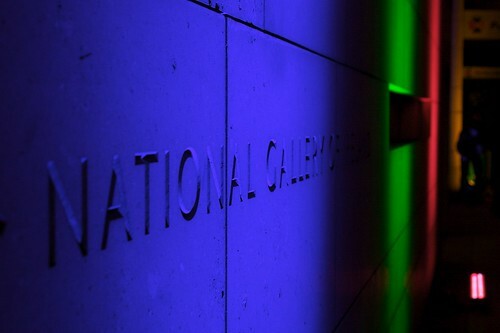 The National Gallery of Ireland was officially opened to the public by the Earl of Carlisle in the year 1864 On This Day. 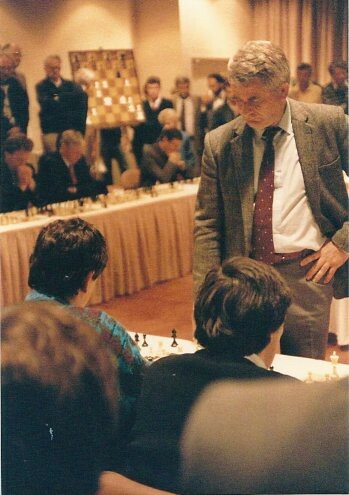 Boris Vasilievich Spassky was born in Leningrad, Russia in 1937. In 1942 at the age of five he was forced to flee Leningrad during the Nazi invasion. He learned to play chess on the train evacuating him and his family from the city. At the age of ten he beat the then world champion Mikhail Botvinnik in an exhibition in Leningrad. He became a Grand Master in 1955 at the age of 18. In 1969 Boris Spassky became World Chess Champion. He remained world champion until he lost in Helsinki in 1972 to American Bobby Fischer in what became known as the “Match of the Century”. 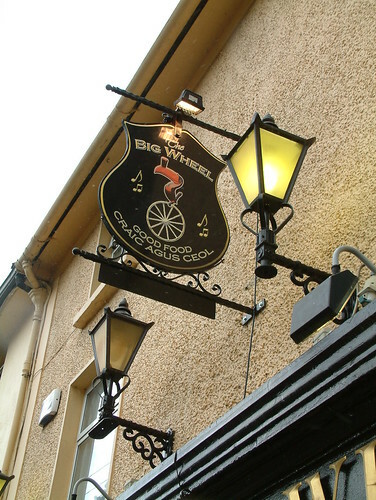 Though a chess club existed in Kilkenny in the 1830’s the present club was founded on February 3rd 1969. The club continues to thrive and has had several notable achievements down the years. 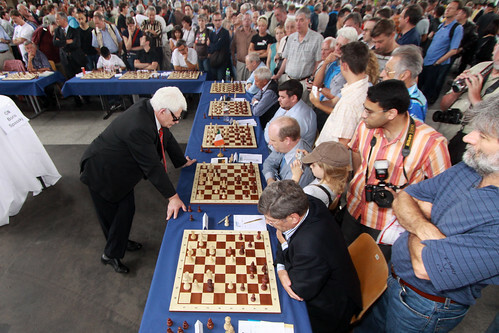 There were over 200 players in attendance at the annual Kilkenny Chess Congress which was held on November 26th 2014. Boris Spassky, chess grandmaster, was born in Leningrad (now Saint Petersburg), Russia in the year 1937 On This Day.